How do I Get my PAYDEX Score for my Business? How do I Get my PAYDEX Score? If you are thinking about checking your business credit, you will want to know your PAYDEX score. You may be asking yourself: First, “What is a PAYDEX Score?” and then, “How do I get my PAYDEX Score?” In this article, there is going to be discussion on practical tips to manage financial stress for your business. To learn how to get rid of financial stress, you need to have the correct information at your fingertips. Obtaining the data necessary to learn your business credit score is straight-forward. You can obtain your business credit report from Dun and Bradstreet (D&B). What is my PAYDEX Score? First, the D&B PAYDEX number that is constructed based upon how well your business takes care of bills. This report is calculated from the data of your vendors and is a reason to pay them on time. New business owners do not think about the effect of negative business relationships with vendors because there is a cognitive dissidence between being in charge of a business and being in charge of yourself. For example, if you visit a fast food restaurant and have a bad experience, you may ask for the manager. The time frame when asking for the manager increases the length of the transaction. As an individual, this does not matter so much; however, as a business owner, the same time delay in service and payment can affect your business credit score. What is PAYDEX Score for a Business? Your company PAYDEX score is based in US Dollars no matter where you do business n the world. This way, your business can be compared as equally as possible to other businesses in your sector. When Dun and Bradstreet look into your financial stress scale, it is measured from 1 to 100 with 100 being the best possible business credit score. A D&B financial stress class would include how to pay vendors in an effective matter as well as what to do if chargebacks are necessary between vendors. In the case of refunded money, there may be a delay of reporting to Dun & Bradstreet. It is critical to monitor your PAYDEX rating like your own personal credit score. Now you know if your fill out an application for credit and the response is “PAYDEX Score Declined”, you will know what that means. Additionally, you’ll have a good head start on fixing your PAYDEX Score in the near future. To be clearer, a PAYDEX credit score is a measurement based upon US-Dollars that analyses the transactions of vendors a specific company does business with. As the vendors report whether your company paid bills on time, all of this data is used to calculate a number that is referred to as the PAYDEX Score. Your PAYDEX score is another way of saying “financial stress score”. Before a lender can offer you better rates on your merchant account, your business must show that it can take care of its obligations. To check PAYDEX score fluctuations, it is important to check with Dun and Bradstreet often. A PAYDEX rating is simply the number given by Dun & Bradstreet that provides a name to your business credit worthiness. The rating is a quick way for someone looking at the data to understand the size of the company’s worth in US-Dollars as well as the appraised value of that business. As mentioned, the rating is a short-cut (too long didn’t read) for the end user of Dun and Bradstreet’s information product. What is a Good PAYDEX Score? The D&B PAYDEX Score is the best type of scoring system to know if your business is a credit risk, or worth the credit indulgence. When people refer to being “PAYDEX Poor” on their report, they are really referring to being ‘PAYDEX Score Poor’. The real trick is to know what is considered a good PAYDEX Score to improve it if needed. If you have a score of 100, you are the perfect business credit risk. If you are 15 days late, your score for that vendor drops to 70. Once the unpaid debt exceeds 120 days, your score for that vendor drops to 20. This means if one vendor is paid late while the others are paid on time, this will have a minimal negative effect on your PAYDEX Score. You get PAYDEX score assistance from Dun & Bradstreet (D&B). They have a terrific customer service department that is wiling to provide you with your business credit score (according to the data collected and aggregated by D&B). The PAYDEX Report may be free to you if you meet their criteria. It is a good idea to check on the PAYDEX score often to make sure your credit rates do not change unexpectedly. How do I Get my PAYDEX Score Now? The Dun and Bradstreet Financial Stress Score and PAYDEX Score are available to pick up through D&B customer service or a third-party vendor. The customer service department of D&B will be aware which financial stress class you belong to. Over time, this is going to change as you mature with your business intact. No matter your small business score, you need to partner with a professional merchant provider that will help your business be guided to success. 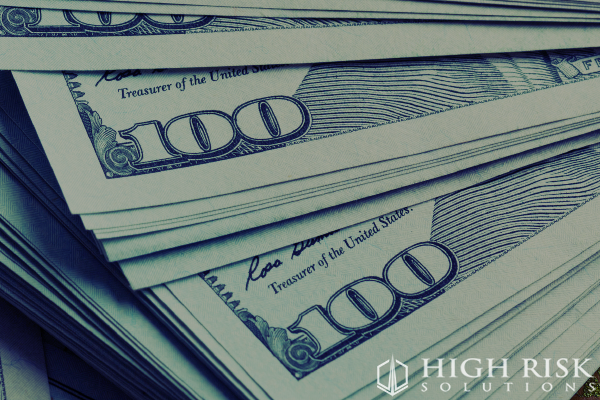 High Risk Solutions was established in 1995 and are one of the oldest high-risk merchant account providers. If you are wanting to build PAYDEX Score credibility, a terrific way of achieving this is to talk with High Risk Solutions to receive tips that can financially improve your business. 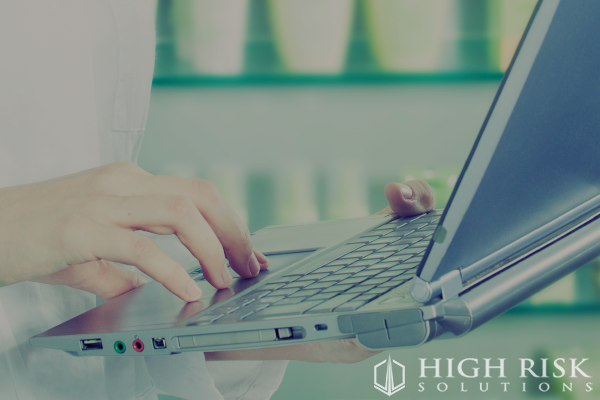 If you need to set up a high-risk merchant account, please sign up here.